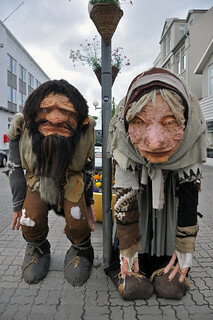 Grýla and Leppalúði are the two ogre parents of the 13 Yule Lads. Akureyri is Iceland's second largest urban area and is nicknamed the Capital of North Iceland. The area where Akureyri is located was settled in the 9th century but did not receive a municipal charter until 1786.